Teach students to record history this Thanksgiving | KERA Learn! One of the greatest things about Thanksgiving is that it gathers together multiple generations under one roof. StoryCorps is asking educators across the country, including North Texas teachers, to have their students record an interview with an elder during Thanksgiving week. Encourage your students to record history! How it works for students: Students age 13 and up choose an elder to interview, choose questions, find a quiet place, and record the interview using the StoryCorps app. How it works for teachers: Check out the 2017 Great Thanksgiving Listen Teacher Toolkit. It is a complete multi-part lesson plan with guidance, videos and printable materials for leading your class through the assignment. Then, empower students to participate. If they do, we also ask that you let us here at KERA know so we can track levels of participation in North Texas. *Note: If you’ve already installed the app, make sure you have the most updated version to ensure optimal interview performance and experience. 1. Students identify a grandparent, aunt, uncle, friend or other elder to interview anytime Thanksgiving week. 2. Students download the StoryCorps app on their phones: for iPhone/iPad/iPod or Android. There they can browse a list of recommended interview questions like, “Can you tell me one of your happiest memories?” and “What advice would you give your teenage self?” Here’s the full list. Or, students can come up with their own questions. 3. 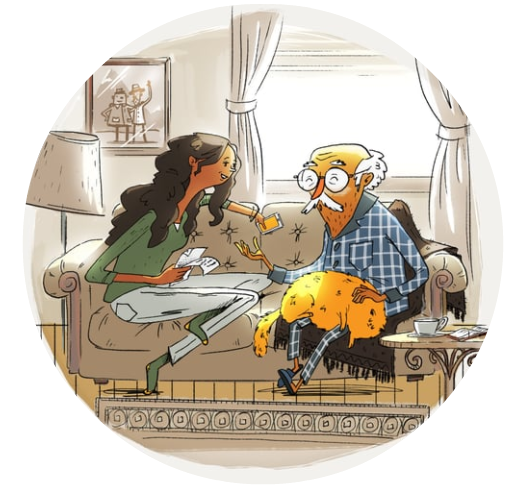 Using the StoryCorps app, students interview and record their conversation with a loved one over the Thanksgiving holiday. 1. Get the the 2017 Great Thanksgiving Listen Teacher Toolkit. The multi-part lesson plan includes all sorts of resources for leading your class through the experience. Consult other Great Listen guides, too, like basic facts for jumpstarting the project and handy how-tos for using the app. Maybe even watch this intro to StoryCorps animation or other videos on StoryCorps’ Youtube channel. 2. Download the app — iPhone/iPad/iPod or Android — and give the process a spin. The Great Thanksgiving Listen is an initiative that puts special focus on bringing together youth and elders, but anyone can interview anyone on the StoryCorps app, anytime. Including you! 3. Encourage and empower your class to participate in the Great Listen this Thanksgiving. When students finish recording their interview, they will have an opportunity to include keyword tags. For instance, they might want to include general terms like family, Korean War and grandma. Have them also include a unique keyword or keyphrase. That will group together all of their interviews under one common link, for easy sharing, viewing and presenting of your class’ project. 1. Decide on a unique term for everyone to include — perhaps the name of your school. 2. 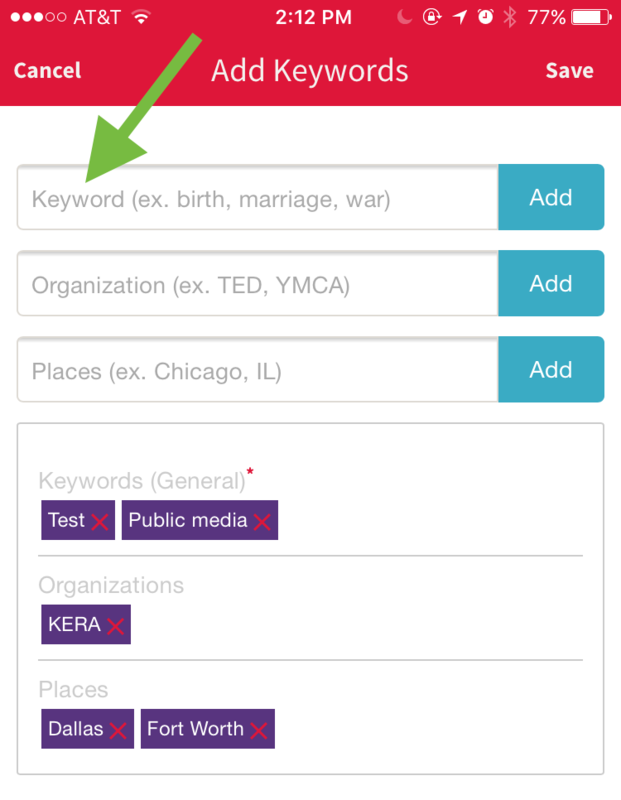 Instruct students to include that exact term in the “Keyword” field when they’re finished recording. You can choose to put the term in the “Organization” field instead — just agree on which field so that the interviews get grouped together. 3. When you’re browsing interviews in the StoryCorps archive, you can search your class’ unique term (e.g. “Arlington Martin High School”). Your students’ interviews will be collected together under one link, like this: archive.storycorps.org/organizations/hinsdale-central-high-school. » Note: The keyword has to be exact. For instance, if your class chooses Arlington Martin High School, but one student accidentally types ArlingtonMartinHighSchool or #arlingtonmartinhighschool, that one student’s interview won’t be collected with the rest of their classmates’ (although that one student’s interview will record to StoryCorps in general just fine). No worries, though — that student can edit interview details later, like title and keywords, using the app. 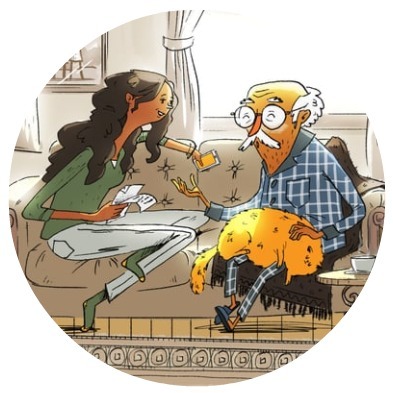 • Your students’ recordings will live on in the StoryCorps Archive at the American Folklife Center at the Library of Congress, serving as an invaluable resource for future historians. • The interviews also serve as a priceless piece of personal history for students and their families. • Students learn to listen more deeply, place dedicated focus on others, and interact with a loved one in a new way. • Students learn to develop empathy for others who are different from themselves and to find strength in stories of people like themselves. Browse our one-stop collection of educational resources: KERA Learn!